Despite all the new properties they churn out, Dubai’s developers could still benefit from one extra detail — build a show home. Those who are willing to do so stand a better chance of convincing buyers in what is turning out to be a overcrowded marketplace. Not to mention an intensely competitive one, where deals are often made — or broken — on what the extras are. Developers and estate agents are competing by the inch today — if you provide one extra inch over the value given by the developer, you will win it, “If a buyer is deciding between two amazing projects in Dubai, chances are he will buy the one giving him a show apartment to look over. One of the healthiest trends over the past six months, and which will continue, is that the wealthy investors are coming back. And they are not following what’s in the developer brochures. If all that a project is giving is an area entirely under development and brochures saying this is for retail or a boulevard, investors are not buying much of that now. They are waiting to see who’s actually delivering, see the quality. Having show apartments shows a developer’s seriousness. In 2016, you could hardly see show apartments. These days everyone understands in order to create evidence of their statements, they need show apartments. We have seen that when the show apartments happened, there was a spike in interest for the Bulgari homes. And the same got repeated at the Bluewaters units. No stone can be left unturned to leave the most credible message. According to market data, in the last three months of 2017, the average value of transactions done in Dubai have been gaining. 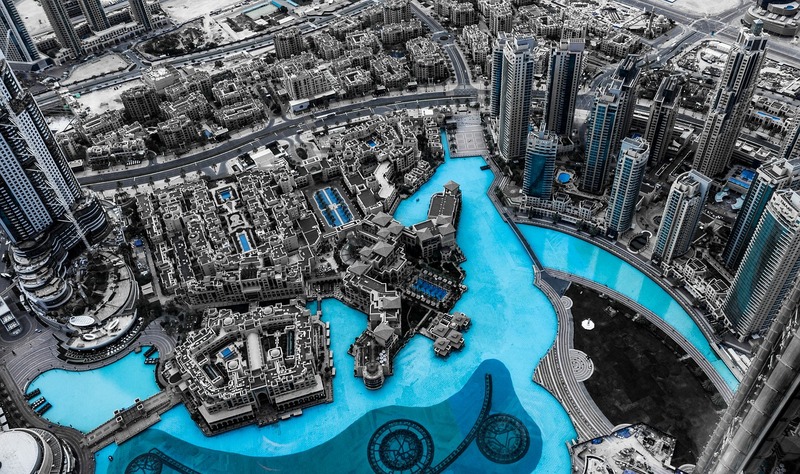 Some high-ticket deals have been made at Emirates Hills and on the Palm, and also at the next-generation of Dubai’s waterfront destinations — Bluewaters, the Nikki Beach (on the Pearl Jumeirah) and the Bulgari on Jumeira Bay. Apart from the end users, the properties are attracting investors who see future opportunities to make an exit on the best of terms … for themselves. With waterfront projects, when you come in and buy direct from the developer, it’s often at a 10-15 per cent difference between a water-facing property and one without such a view in the same project,” said Al Msaddi. But when this comes into the secondary market, there’s an 80 per cent mark-up. For instance, at the Address Hotel Downtown launch, the difference was 10-18 per cent between having a fountain view and the backside of The Dubai Mall. In secondary market, the fountain view was selling for Dh6,500 a square foot and those at the back for Dh3,500-Dh4,000. The supply of prime units (those facing the water, etc) in a single project will always be less. And when you buy a prime unit, your exit will not be as crowded. But is the present only a time for buying and not sell? there are only two types of sellers now. Those in serious trouble are selling today and selling at the lowest price point of the market, Or because they see other options. For instance, your money might work at a 5 per cent appreciation in a best-case scenario with an existing property. Or he could do 10 per cent a year by exiting and investing in another property. There have been instances of investors exiting an asset of Dh30 million to Dh40 million and reinvesting in Dubai itself. They can probably make much more capital appreciation or rental income.